Go Round FC coach, Willy Udube has suggested that every game is a Cup final for his side, due to the difficulty with which they win them, especially at home. The club had laboured to a 1-0 win over Abia Warriors, a 79th-minute goal scored by the youngster, Chiegbonam Nwogbaga. “The games are tough, but this is the case because we have a young and inexperienced team,” Udube said. “I have said it before and I will continue to say it that I have a very average team. Go Round FC is a modest club that does not have the financial power to bring inexperienced players. “All this time, we have been trying to see how we can blend the players we have. It is not easy for us. It is a very big job for us, but I strongly believe that with the little we are putting in, this team will pick up before the middle of the FA Cup,” Udube said. Chiegbonam’s late strike came off a cross from Kamaru Ogunjobi. Ogunjobi was a 44th-minute substitute who replaced injured David Philips. 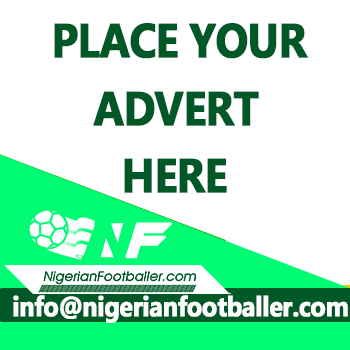 Abia Warriors showed they were not in Omoku to sit back as they took the game to their opponents. In the 16th minute, Ibrahim Olawoyin made a run into the Go Round FC box but an inch-perfect tackle by Akaba Otega sent the ball off to safety. Sustained pressure in the 23rd minute got Abia Warriors a free kick, but Abdulahi Fatai, succeeded in playing the ball past the wall, but straight into the hands of Go Round FC goalkeeper, Joseph Onwuga who was making his first start for the team. It was still Abia Warriors trying to make something out of the game and in the 26th minute Stanley Nwuju thought he had put them ahead when the ball went past Onwuga and into the net but the Assistant referee’s flag had gone up early enough for a foul on Onyirumba Odinaka in the build-up to the goal. The away side was not finished as Samson Paul shook off his marker three minutes later, faced the goalkeeper but his effort was too weak to trouble Onwuga. Ibrahim Olawoyin had a pop at goal, but he was already adjudged to be offside. The Abia Warriors onslaught continued in the second half. Ten minutes after the restart, Samson Obi broke free and made a run towards the Go Round FC area but Morice Chukwu chased him down, dispossessing him of the ball before he could do damage. The victors had one last gasp chance to make something out of the game just before Go Round FC scored as Shadrack Asiegbu sighted the post from distance and tried to score but it went wide. It wasn’t a very bad game, the boys did their best, they fought so hard,” Abia Warriors assistant coach, Austin Chiwendu said after the game. “We couldn’t take the chances we got in the first half. The game of football is like that. Sometimes you try and you do not win. “You can see the way we fought. We came to win, we never came to defend. It was unfortunate we couldn’t take our chances. We missed ours and they scored theirs,” Chiwendu said. For the umpteenth game this season, Go Round FC proved to be late bloomers as they work the ball as hard as they can but are profligate until the late moments. Tried as hard as they could, it was just almost impossible to score in the first three-quarters of the game. It took Go Round FC just five minutes to ask questions of the Abia Warriors defence when Chiegbonam Nwogbaga was brought down at the edge of the penalty area after he made his way in. Morice Chukwu, however, blasted the free-kick wide. Four minutes later, it was Adelani Adeseun who got a chance in the box but he failed to connect a loose ball that evaded many legs in the penalty area. Fancy play by the homers in the 16th minute saw Ololade Sadiq having a shot at goal, but it was terribly wasted. When David Philips was taken off injured in the 44th minute, there was an air of silence around the ground because he had been the most consistent player in the team, but his replacement, Kamaru Ogunjobi proved worthy enough. Adelani Adeseun, the club’s top scorer with three goals, found space in the 57th minute but his pile driver was saved easily by Uche Okafor. The win pushes Go Round FC to 6th on the log with 21 points from 14 games. Abia Warriors drop to 10th with 15 points from 14 games.